The Saudis tortured an American citizen, but the Trump Administration doesn't care. A dual citizen of Saudi Arabia and the United States had been imprisoned in the Ritz Carlton in Riyadh for about a week when he heard a knock on his door. Guards dragged Walid Fitaihi, a Harvard-trained physician, to another room, according to a friend who took down the prisoner’s detailed account of his treatment. Dr. Fitaihi told the friend he was slapped, blindfolded, stripped to his underwear and bound to a chair. He was shocked with electricity in what appears to have been a single session of torture that lasted about an hour. His tormentors whipped his back so severely that he could not sleep on it for days, his friend said, speaking on condition of anonymity to avoid reprisals. The doctor had described the physical abuse, in general terms, to his relatives as well, a person close to them said. Detained in November 2017 in what was billed as a crackdown on corruption, Dr. Fitaihi, 54, remains imprisoned without any public charges or trial. About 200 prominent Saudis were detained with him, and he is one of dozens who remain in prison. Friends and families of others detained have also described episodes of torture. At least 17 detainees were hospitalized soon after the crackdown for injuries sustained while in custody, according to a doctor at the hospital and an American official monitoring the crackdown. >A military officer who had been detained died with a twisted neck and other signs of abuse on his body, according to a person who saw it. Women’s rights advocates jailed in Saudi Arabia have said they were also tortured, including by electrical shocks, according to their relatives and rights groups. But Dr. Fitaihi’s American citizenship means that his mistreatment, which has not been previously reported, may now pose a special threat to Saudi relations with Washington. The Trump administration is already struggling to quell a bipartisan backlash against the kingdom over the killing last fall of the Saudi dissident Jamal Khashoggi, a Virginia resident and Washington Post columnist who was executed and dismembered by a team of Saudi agents in the kingdom’s consulate in Istanbul. This past week, Jared Kushner, President Trump’s son-in-law and Middle East adviser, met for the first time since the killing with Crown Prince Mohammed bin Salman, the de facto ruler of the kingdom. 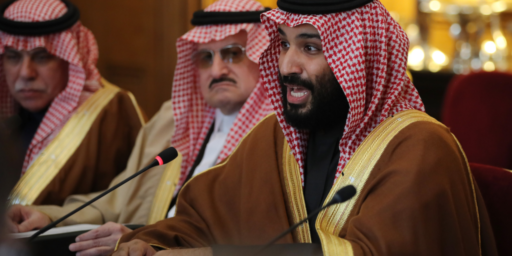 American intelligence agencies have concluded that the crown prince ordered Mr. Khashoggi’s killing. Mr. Kushner met with Prince Mohammed to promote a potential resolution to the Israeli-Palestinian conflict in which the prince and his country may play a big role. The Trump administration, meanwhile, has defied a congressional deadline to report about who was responsible for the killing. 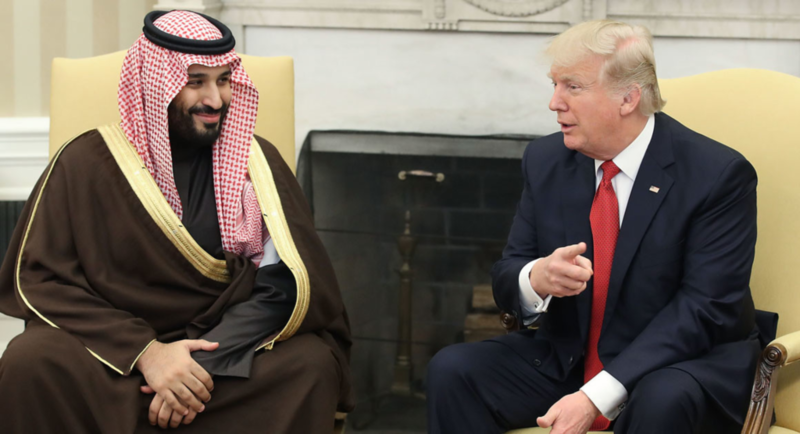 Instead, President Trump has equivocated about whether Prince Mohammed might have authorized it, even as he has extolled the value of Saudi Arabian oil sales and defense contracts. American friends of Dr. Fitaihi are stepping up a campaign to press Washington to take up his case. They say the Trump administration’s public silence about his incarceration is at odds with Mr. Trump’s repeated boasts about his successful efforts to extricate American citizens held abroad. Dr. Fitaihi is still being held without charge. It should go without saying that our government should be urgently seeking his release, and the Saudi government should expect to pay a price for imprisoning and torturing an American citizen. Unfortunately, the Trump administration has been embarrassingly subservient to the Saudi government for the last two years, and their evident failure to intercede on behalf of a U.S. citizen wrongfully detained and tortured in Saudi Arabia is more of the same. No one should have any confidence that the same people that have bent over backwards to shield the Saudis from the consequences of their war crimes in Yemen and the murder of Jamal Khashoggi will do anything for Dr. Fitaihi. As usual, it will fall to Congress and human rights activists to call attention to yet another case of outrageous Saudi behavior. This news comes, of course, at the same time that Jared Kushner, the President’s “point man” on Middle East peace, is meeting with Saudi and U.A.E. officials as part of his ongoing effort to come up with something that at least two generations of American Presidents and diplomats, a comprehensive Middle East peace agreement. Leaving aside the quixotic nature of that assignment, the very fact that Kushner and the Trump Administration are considering the Saudis in general, and Mohammed bin Salman specifically, to be reliable partners in any such process is a rather sad commentary on the state of American diplomacy and the extent to which human rights issues have been largely forgotten in the Trump Era. 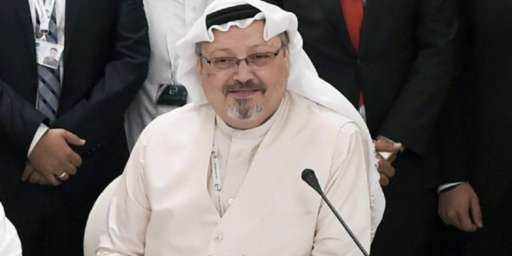 We already know, after all, that the Saudi government was involved in the detention and murder of Washington Post journalist, and American Permanent Resident, Jamal Khashoggi last October. We also know, even though the Trump Administration refuses to acknowledge it, that Khashoggi’s murder was done with the knowledge and most likely on the orders of Crown Prince Mohammed bin Salman. Now we have evidence of Saudi involvement in the torture of an American citizen as part of a series of mass arrests that we already knew were engineered by bin Salman himself. Lairson is right, of course, in his observation that the Trump Administration will neither do nor say anything with regard to Dr. Fitaihi. 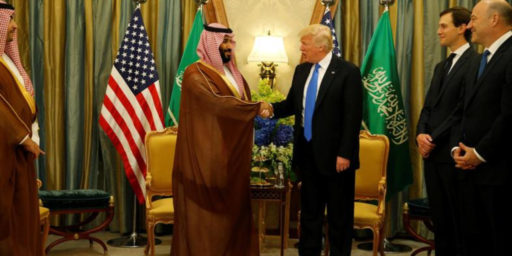 While it’s been true in the past that American Presidents in the past have maintained a close relationship with the Saudis notwithstanding their atrocious record on human rights and other issues, that tendency only seems to have gotten worse under President Trump. To this Administration, it doesn’t matter that Saudi Arabia was the home to nearly of the September 11th hijackers, that its citizens have long been a source of funding for al Qaeda and other jihadist organizations, that the Saudi government itself funds the spread of Wahabbist Islam around the world, that it is currently conducting a genocidal war on Yemen, or even that it has murdered an American journalist and tortured an American citizen. This President quite simply doesn’t care, and he seems intent on maintaining a good relationship with the Saudis no matter what. Something tells me we’re going to pay a price for this in the future, just like we paid a price for supresing democracy and supporting the Shah in Iran. Follow the money…it’s all about the Benjamins with this family. Nothing else matters. Certainly not the fools wearing red hats. The DNC has rejected Fox News for any 2020 debates, citing Jane Mayer’s New Yorker article. As usual, it will fall to Congress and human rights activists to call attention to yet another case of outrageous Saudi behavior. So basically….Fitaihi is on his own. Then Trump’s re-election is all but assured….. The WaPo has documented 33 cases of illegal aliens working for the Dennison family. If he can keep fooling dupes like you. I do honestly wonder how you figure. Partly due to what An Interested Party mentioned – I doubt there’s a significant overlap between Fox News viewers and potential Democratic voters. But really, I’d have to ask in return if Trump ejecting CNN’s and sometimes other network’s reporters during various events has all but assured a Democratic victory? It’s for the primaries…so it’s not going to have a huge impact either way. It’s a strong statement from Democrats, instead of their typical spineless responses. Frankly, I don’t see how they had a choice after the New Yorker story. If Fox is only going to serve as an extension of the Dennison Crime Family…why bother? Remember…Pearce was the guy that said Dems should just give Dennison his wall…there’s really not much reason to consider his opinions. I’ll be voting for whatever non-“white man” you ghouls put up, just like I did the last 3 times. There’s a lot of Fox viewers who don’t want to vote for Trump, watch CNN, or go out of their way to gauge the 10-15 Democrats running. You can leave those voters on the table, I suppose, and still win. I doubt there’s a significant overlap between Fox News viewers and potential Democratic voters. Additionally, the Saudis are holding an American woman. Note the link to to a Fox News post, so it can’t be fake news. Nonsense…y’all are the unshakable 40%. First, we have to remember that on principle, conservatives approve of torture so this won’t be that big of a deal to them. Next, the guy may be American, but he has a terrorist name. Dont expect Trump or anyone on the right to care very much. Soooo…. lazy people who only want to watch one channel and not think? If they don’t want to vote for Trump, then they won’t vote for Trump right? Just stay home and reduce his numbers. Or are you saying that unless they are spoon-fed an acceptable alternative in their preferred format, they’ll do what they don’t want to do??? Honest to god, you get cranky when people “look down” on Republican voters and then come here to tell us they need their hands held and led out of the bubble. Dozens of debates and articles and think pieces all over the net but there HAS to be a FOX News debate for them to consider a Dem? Presumes facts not in evidence, but just for the sake of argument, define “a lot”. The 4 years between 2016 and 2020 will have a small but statistically valid change in demographics. Trump has hardly been higher than 40% his entire presidency, has run a scandal-plagued administration, may be working for a foreign power, and I really wish it would sink in that this is all made possible not by racism and sexism and xenophobia, but by a toxic, clownish left that is as mistrusted as Trump himself, if not more. If they don’t want to vote for Trump, then they won’t vote for Trump right? They may want to vote against the Dems more than they want to vote for Trump. There’s a lot of Fox viewers who don’t want to vote for Trump, watch CNN, or go out of their way to gauge the 10-15 Democrats running. @Mikey: But I’m not talking about “viewers who are interested in the debates.” I’m talking about right-leaning Fox News viewers who can’t stand Trump but don’t yet consider Democrats to be a harmless alternative. @James Pearce: Tell ya what, James–find that guy and I’ll invite him to my house to watch the debates. @Daryl and his brother Darryl: Democrats having a debate at FoxNews would be like gay people having their wedding at the Westboro Baptist Church. @Mikey: It’s not even clear that the Democratic party is a big enough tent for those people, so I’m pretty sure they won’t all fit in your house. Oh, so Mars describes a loop in the night sky? How nice. Prove this isn’t because its orbit has no loops, then get back to me. Oh, so the Moon doesn’t loop? So what? All the other planets do. Oh, so the Moon is not a planet? Prove it. But the teacher was trying to drive home aspects of the scientific method, not trolling the class. @James Pearce: Since you’ve described a unicorn, and they’re mythical, I’m pretty sure any number of them could fit in my house. Since you’ve described a unicorn, and they’re mythical, I’m pretty sure any number of them could fit in my house. I’m getting pretty tired of trying to convince lefties to team up with righties to take down Trump. @An Interested Party: Well they should be. If they could get that key geezer/proud boy cohort back in the fold, they could throw blacks and women under the bus. You don’t know anything about elections at all, do you? @Mikey: How about my father? He’s voted Republican his whole life, thinks the Democrats are awful, and thinks Trump is awful too. In 2016, he was really agonizing over his vote, until I explained that he lived in New York and his vote doesn’t matter. I was trying to make him feel sad and powerless in addition to conflicted, but he found the lack of consequence freeing and voted for Gary Johnson. There are probably some people like him in a swing state somewhere. I doubt he is all that unique. @James Pearce: I agree that we can’t leave those potential voters out of our messaging. But, I’m not sure a bunch of “gotcha” questions that will then be taken out of context and repeated ad nauseum on Fox to show how out of touch the Democrats are with America is really going to help. Fox News is hostile territory. I’d say cut them out entirely, but do ad buys. At the very least, let’s weed out the candidates who prance merrily into traps first. Do we want the radical statements of Governor Hickenlooper helping to define the party? I really wish it would sink in that this is all made possible not by racism and sexism and xenophobia, but by a toxic, clownish left that is as mistrusted as Trump himself, if not more. Ha! And who would they vote for? Howard Schultz, perhaps? If they could get that key geezer/proud boy cohort back in the fold, they could throw blacks and women under the bus. But, I’m not sure a bunch of “gotcha” questions that will then be taken out of context and repeated ad nauseum on Fox to show how out of touch the Democrats are with America is really going to help. I’m not suggesting it will be a pleasant experience, but even if the debate was hosted by Fox, other outlets will cover it too. And if it’s nothing but “gotchas” and BS, that will be covered. There’s no need to be afraid. Pulling this move makes the Dems look weak, scared, and be-bubbled. They can’t handle opposition media? Contrast that with the current president, who not only bashes CNN but often does it while appearing on CNN. Trump’s already boasting of his own debate shenanigans. What fresh hell are we in for with this childishness? Well they should be. If they could get that key geezer/proud boy cohort back in the fold, they could throw blacks and women under the bus. were you channeling Pearce there? I really, really liked Obama and kinda feel like we all let him down. Remember my non-serious theory that the current state of politics has already been portrayed on The Simpsons’? Candidate: I have a name! Fox: Yes, I’m sure you do, comrade. I appreciate your being here, you’re (switches to split shot of both candidates, and Krusty has an on-screen halo) usually so mired in sleaze (they both react) it must be an effort to come down to the studio. Krusty: May I say something? Candidate: He hasn’t won yet!! Fox: You make a very adulterous point! We will now conclude this debate with a Krusty campaign commercial.. The episode aired in 2003. You don’t have to convince me of that. However, given finite pools of time and resources, I want to reach “righties” in ways that are actually effective. Sending Democratic candidates to debates hosted by a network that is not only quite blatantly on the Republican side, but has actually spiked stories damaging to a Republican candidate and advanced at least one debate question to that candidate, is not effective, especially when the rationale for doing so is based on a premise that is unsupported by voters’ actual behavior. Pulling this move makes the Dems look weak, scared, and be-bubbled. They can’t handle opposition media? @Gustopher: How would he have voted if he lived in a “swing” state? Or would he just have left the top of the ballot blank? I work with some conservative people who don’t care for Trump, but Virginia is–or, at least has been recently–a “purple” state, so they didn’t feel the same “freedom” your dad did. They voted for Trump anyway. @James Pearce: And of course there’s Trump trying to pull the WaPo’s press credentials and his constant insults of Jeff Bezos, and the attempts to pressure the USPS into raising its rates for Amazon shipments because he doesn’t like what the WaPo writes about him. And of course the whole thing with Jeff Acosta. But no, it’s the Dems who can’t handle “opposition media” because they won’t attend debates on the network that actually helped the Republicans cheat during a debate. Jim Acosta has seen too many movies about the intrepid, heroic journalist that he’s never quite figured out why yanking his press pass was such a body blow. And in case this is too subtle, what I’m saying is that he’s not very good. Kushner was billions of dollars in the hole on bad real estate, the Arabs bailed him out. Quid pro quo. MBS can torture all the Americans he wants, Trump is bought and paid for and won’t utter a peep. @Kathy: This thread reminds me of the time in high school a physics teacher challenged the class to prove the Sun does not revolve around the Earth. Actually, that’s not as easy as it sounds, steeped as the modern world is in science. Most of Galileo’s evidence was circumstantial. A resolution of the problem had to await Newton’s mechanics and his theory of universal gravitation. @Teve: Damn, you found me out. @Zachriel: if I recall correctly, it took Kepler many moons of math with many years of Tycho Brahe’s data. @Michael Reynolds: kushner also of course has a security clearance, so he can fill MBS in on whatever MBS wants to know about the region. @Zachriel: I’d say Newton and Kepler. I agree. Much of what we know through science cannot be proven rigorously, never mind empirically, by a layperson even if they’re well-read in science. The teacher, BTW, was so good refuting arguments not well-backed, that some classmates were honestly uncertain as to whether the Earth really orbits the Sun.